He's more than just a statue of the saint in the neighbour's garden surrounded by adoring animals. As a wealthy young man, Francis was a member of the 'brat pack' of his day, wearing bright clothing, hanging out with rich friends, engaging in street brawls, and partying. After a dream in which God called him into service, Francis abandoned all his rights and possessions and began preaching simplicity and poverty, relying on God's providence rather than worldly goods. In this Christian Encounters biography, read about this patron saint of animals who so delighted in God's works that he once preached a sermon to a flock of birds. 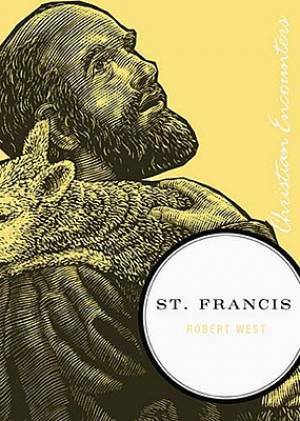 St Francis by Robert West was published by Thomas Nelson in August 2010 and is our 16249th best seller. The ISBN for St Francis is 9781595551078. Be the first to review St Francis! Got a question? No problem! Just click here to ask us about St Francis.